You’ve invested tens of thousands of pounds in a motorhome so you’re going to want to make sure your hard earned cash is well protected from all manner of risks, such as theft, accidental damage, and road accidents. Here’s our guide to insuring your motorhome and the top things you need to know before making that essential purchase. Shop around for the right motorhome insurance for you and ask fellow motorhomers for their recommendations via things like online forums, Facebook groups or even when on site. 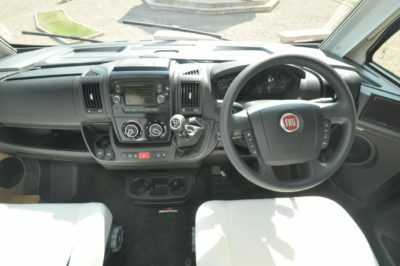 Also, look at customer review websites, like ReviewCentre.com to see what others have to say about the customer and claims’ service of their motorhome insurer. Some insurance companies will also exhibit at the NEC Motorhome and Caravan Shows, where you can speak directly to their team and maybe even get a cheeky show offer! Know the make and model of your motorhome, specifically the converter or manufacturer. This is different from the base vehicle, eg Fiat, Ford or Mercedes. 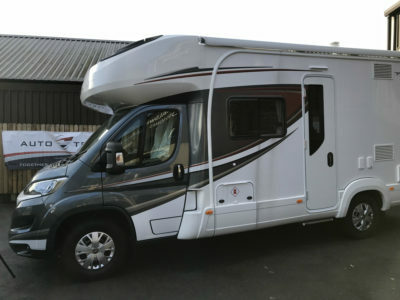 Your insurer will want to know who manufactured your motorhome, for example, AutoTrail, Auto-Sleepers, Swift, Elddis, Bailey, Burstner, Hymer etc. Know the body type of your motorhome and its current value. Do you have an A Class motorhome, a coachbuilt, a derived van or van conversion, an American RV or a campervan? Knowing it’s correct value will make sure you’re not paying too much for cover or worst still, that you under-insure your leisure vehicle. 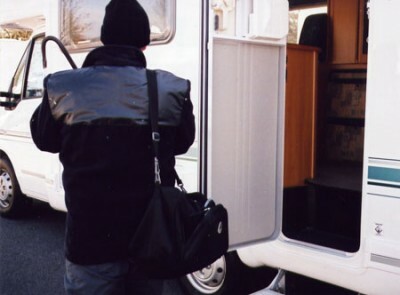 Know the detail of the security devices fitted to your motorhome. This can have a big impact on your motorhome insurance premium, so it pays to know what security devices are fitted. You’ll be asked if you have things like an immobiliser, alarm or tracking device – but make sure you know the Thatcham approved category of those devices, as well as the make of any tracker fitted, e.g. Phantom Sentinel. If your motorhome has been built in the last twenty years it’s almost certain it will have an immobiliser. Know the postcode of where you store your motorhome, as well as the security arrangements at the storage location. Whether your motorhome is stored at home or on a storage site, you’ll be asked if there are gates locked 24 hours-a-day and other questions such as about perimeter fencing and CCTV. Again, the storage postcode and security in place there can affect your motorhome insurance premium. Know your driving history, including the dates of any previous insurance claims; any points and convictions on your licence within the last five years (including the offence codes). Also, if someone else is going to share the driving or you’re going to be letting friends or family use your motorhome, then make sure they’re named on your policy and be aware of their driving experience, motor insurance claims and convictions. Motorhome insurance policies, like Caravan Guard, will allow you to choose the cover options you need. So, consider if you’ll be taking your motorhome to Europe. If so, you’ll want to make sure you have European breakdown cover and the option to travel in Europe for up to nine months of the year. 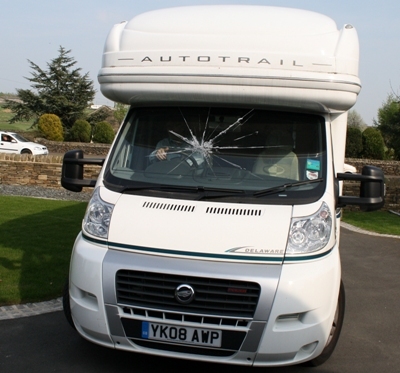 Windscreen damage is one of the most common motorhome insurance claims, so make sure this is covered by an insurance policy. Caravan Guard offer comprehensive specialist motorhome cover with no excess for windscreen repairs. Sometimes things will go wrong so you want to make sure you’re able to get help and be recovered should you breakdown, get stuck in the mud or use the wrong fuel! Caravan Guard’s cover includes UK roadside assistance as standard. Make sure you’re fully covered against accidental damage should you have a bump or scrape in your motorhome or should you drop something in the shower or on the worktop and cause damage. Check for those little extras like cover to pay for expensive legal fees, as well as personal accident cover. If your keys are stolen or your locks damaged after a break-in theft then you’ll want to make sure you can get these replaced under your policy. In the unfortunate event that your motorhome is stolen or damaged beyond repair, consider taking emergency accommodation cover that will give you the peace of mind that you can continue your holiday in a hotel or hired motorhome. On your touring adventures, you’re probably going to be taking an array of equipment in your motorhome. 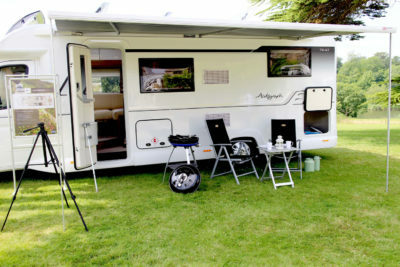 From outdoor furniture to TVs and barbecues the contents of your motorhome can soon add up. Caravan Guard’s motorhome insurance policy includes £5,000 of equipment cover as standard, for portable items like awnings, gas bottles, clothing etc. We’ll also cover your awning and motorhome should they be caught in a storm. 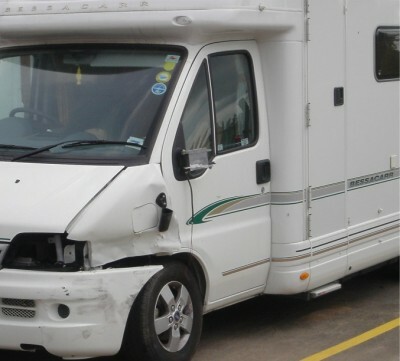 There are a number of ways you can reduce the cost of your motorhome insurance premium. For example, see if you can increase the excess you’ll pay in the event of a claim and secondly, consider how far you’ll be travelling – fewer miles could mean a lower premium. Look for options to protect your no claim discount if you have to make a claim and always double check the current value of your motorhome so you’re not paying more than you need to. See what motorhome insurance discounts are on offer for things like safety, security and storage. Fitting an approved tracking device will attract a good discount on your premium as well as high levels of security at your storage location. With Caravan Guard, smaller discounts will also apply for fitting things like reversing cameras and Tyron safety bands to your motorhome tyres. 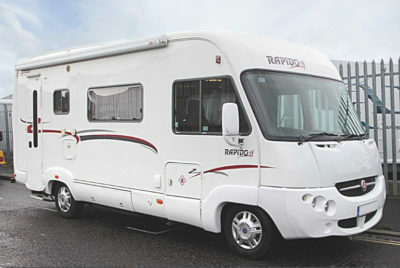 For more information about our specialist motorhome insurance click here. your ‘motorhome to europe’ link doesn’t work? can you advise insurers who will cover a motorhome stored in europe at a secure indoor location for part of the summer period? Hi Robert, sorry about that. The link is now working. 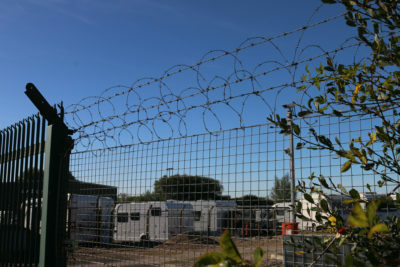 If you are insured with Caravan Guard, and have selected the European cover option, you are permitted to leave your motorhome unattended for up to 72 hours at a recognised caravan park, or if you are staying at a holiday property the motorhome can be kept at the same address if it’s in a locked compound or behind locked gates on a driveway and you are staying there (for up to a week). If you are wanting longer term cover then it’s probably best to insure with an insurer based in the country where you plan to store your motorhome.